Catherine Herfeld is Assistant Professor of Philosophy of the Social Sciences and Social Theory at the University of Zurich, Switzerland. Before joining the University of Zurich, she has been Assistant Professor and Postdoctoral Fellow at the MCMP. Catherine holds a diploma in economics from the Technical University of Berlin, a Master of Science in philosophy of the social sciences from the London School of Economics, and a PhD in history and philosophy of economics from Witten/Herdecke University. 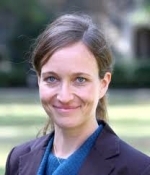 She has been a pre-doctoral fellow at the Max-Planck Institute for the History of Science in Berlin and at the Max-Planck- Institute for Research on Collective Goods in Bonn, a visiting scholar at the Philosophy Department of Columbia University in New York and at Stanford University, and a research fellow at the Center for the History of Political Economy at Duke University. She was also Guest Professor at the Institute of Philosophy at the University of Vienna. Catherine’s interests are widely spread. Her specializations are in philosophy of the social sciences and the history as well as methodology of economics. She is also interested in the use of social network analysis in the history and philosophy of science and in sociological studies of Gender issues in philosophy. Her current research projects are concerned with: (1) the history of axiomatic choice theories in 20th century economics and the behavioral sciences more generally; (2) the nature of scientific explanation in relation to reductionist strategies in economics; (3) the nature and role of critique in philosophy of the social science; (4) questions around the progressiveness of behavioral economics; (5) interviewing prominent economists, philosophers, and psychologists about their work on rational choice theories broadly understood; and (6) sociologically analyzing the situation of women in philosophy.